Q: Are your trips all holidays? A: We are sport and health professionals so some of our trips are designed to push your limits, they are not holidays. They involve preparation in terms of improving fitness or fundraising if its a challenge. Our trips give the opportunity to meet like-minded people, complete a challenge or improve at what you do. Q: What are the accommodation and general facilities like? A: For most people, the main attraction of travelling to a different country is to see new sights and enjoy new experiences. Sometimes those new experiences can make life harder or more inconvenient than you may like, such as toilet hygiene or different food, or simply a different attitude to solving problems. This is all part of the holiday or challenge you are signing up for! Many involve camping because of the remote nature of our treks; tents are usually two-man. We stay at comfortable (but not luxurious) hotels at the start and end of the trip for any holiday that involves us collecting you from an airport. Meals are designed to give you plenty of energy. 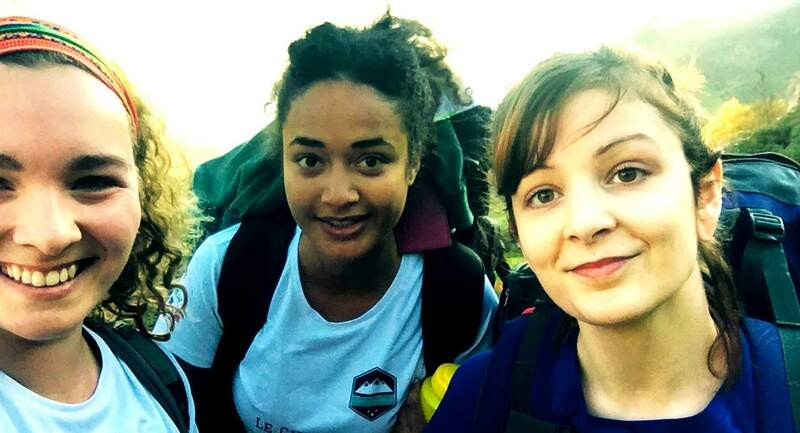 A sense of humour and sense of adventure are two of the most important things to bring with you – we can guarantee that coming face-to-face with experiences outside your normal ‘comfort zone’ will help you get to know your fellow trekkers, climbers, yogi’s and provide you with plenty of things to laugh about! Q: What are the toilet facilities like? A: On some trips where we camp, or wild camp in the mountains, there are predesignated toilet areas and we bury any waste if there is no fixed toiet. We often camp where there are no facilities but usually near natural water sources such as streams or lakes. We politely request that you: wash away from the water source where possible (using buckets); use natural soaps and shampoos (chemicals upset the balance of the water and harm wildlife, as well as causing potential harm to any local people): and burn or carry out any waste you create. Q: I am a vegetarian. Will there be food for me? A: Being vegetarian, or having other dietary requirements is not a problem. Please let us know well in advance and do not expect as much variety as you would have access to at home – we will be in very rural areas and among people of a different culture who may not understand your requirements, however willing they are to help. If you have very particular dietary requirements you may wish to bring extra snacks. Q: Do I carry my own luggage? A: On each trip your luggage is transported by vehicles, porters, camels, yaks, etc! You cannot access your main packs during the day so need to carry a day-pack with your fleece, waterproof, sun-cream, hat, camera, water etc. You will need to bring a soft rucksack or expedition kitbag. On occasion you may be asked to carry your luggage a short distance into a wild camp. A: Yes, you must have adequate travel insurance cover in order to participate in any overseas holiday or challenge. Please see our Health and Safety information. Q: How am I protected? A: We don’t offer ATOL protection but we work in partnership with large tour operators. They have this protection and therefore so do you when they book flights for you. For more information please read our Terms and Conditions. We guarantee to refund any trip cancelled by us completely. Q: Can you book flights for us? A: No. Unfortunately, this is not part of our service. Q: Can I stay on after the trip for a holiday? A: Yes. Please book as far in advance as possible to ensure availability. Any arrangements we make for you will incur an administration fee. Sometimes it is possible to take part in a Community Project after you have completed your main challenge.